This is my last in the series about the National Professional Development Center for ASD’s Evidence-based Interventions report. You can check out the rest of the series here. Today I am going to focus on some of the interventions that didn’t qualify for evidence-based status. You should definitely check out the whole list of these interventions in the report, but I am going to talk about 6 interventions that (in addition to structured work systems) have some basis or are up and coming interventions that may be effective with the population. Behavioral momentum involves presenting a series of high probability tasks (i.e., mastered tasks) followed by the low probability task you want the student to complete. High probability tasks are ones with a high probability that the person will complete while low probability have a low likelihood of being completed. The idea is that you get the person moving and following directions with the high probability tasks and then present the one they are less likely to complete. So if you want him to write your name, you might tell Joe (who easily follows 1-step directions) to touch his head, touch his toes, find his ear, clap his hands, jump up and down, pick up the pencil, put it above his head, and then write his name. Research with a wide range of individuals shows this to be an effective intervention, there was just insufficient evidence with participants specifically diagnosed with ASD. Direct Instruction is scripted instruction that is presented the same way each time. It typically focuses on choral responding by the group as a whole. Lessons are typically fast paced and there are specific procedures for error correction and the lessons progress systematically through a structured curriculum. And finally there is frequent assessment of progress so that instruction can be adjusted based on the students’ performance. Typically DI is associated with specific curricula. If you have used the Reading Mastery curriculum, which is an SRA product and used to be called DISTAR Reading or the DISTAR Math series, then you have used direct instruction. The PCI Reading Curriculum is also a DI approach to teaching reading. There is one study listed in the EBP report showing that DI is effective for students with ASD. Because there is only one study specifically focused on ASD, it didn’t make the cut in the report. However, DI programs like Reading Mastery and PCI are typically considered scientifically based instruction and have a good track record of research supporting them for teaching a variety of skills, primarily math and reading. I have had students who have responded well to it so it’s a matter of trying it and taking data to see if the student makes progress with it or not. I often recommend Reading Mastery or PCI as tools to use for a student who isn’t getting a phonics-based approach to reading with other curricula before we make a full shift to sight words. I included HWOT because many teachers and OTs use it frequently with students with ASD. When I did a literature search for it, there is just one research study that come up with the curriculum as a package. It is the same one that is cited in the EBP report. 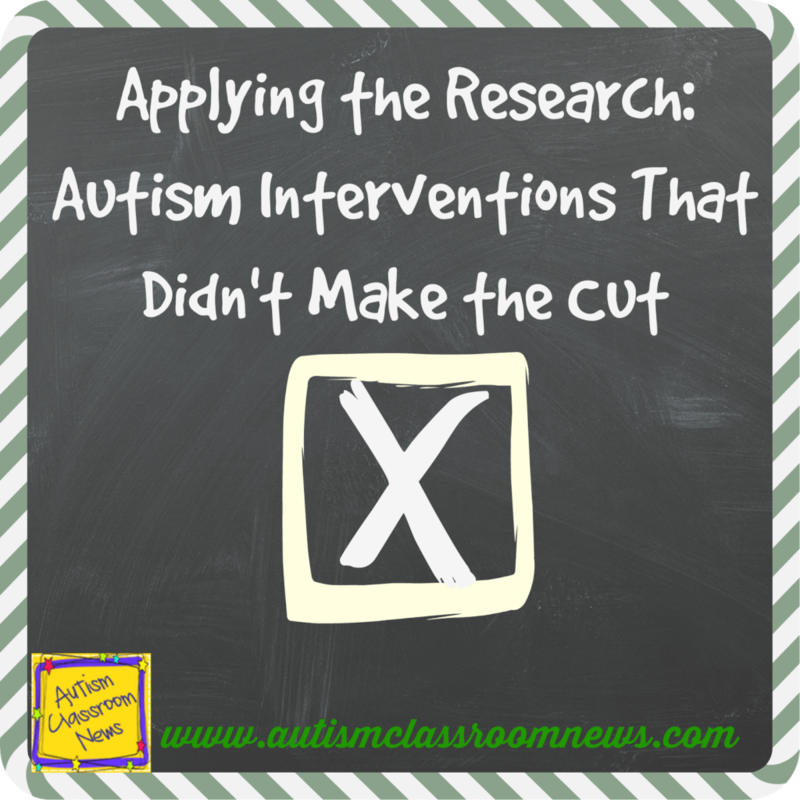 There were 2 students in preschool, one with ASD and one with developmental delays, who showed improvement in letter formation with the use of the curriculum. So while there is one study that shows it was effective, there is limited research about it at all, so we need to make sure that we are evaluating progress regularly if using it to see if it is working. I included this one because based on the report there are 3 studies that shows it is effective but they were all conducted by the same research group. This is more studies than there were even just a few years ago when I looked into it, so I know that the research base is growing. The EBP guidelines requires that the research be completed by more than 1 research group because often interventions are only evaluated by the company that developed or promotes them and the research may have internal biases because they haven’t been evaluated by those without a vested interest in it. In the case of music therapy, there are other researchers involved in the research and the research is coming from a university, not a company that profits from the results, so I wouldn’t be surprised to see this research base grow and if this becomes an evidence-based intervention in the future. Reciprocal Imitation Training is a system of instruction based on imitating the motions and actions of the child. It’s used primarily with very young children with ASD and has had some effective research results increasing communication and social interaction. It is based on the developmental approach with some elements that fit well with ABA. It didn’t get included as an EBP because, like music therapy, the only research conducted is by one research group. Again that research group doesn’t profit by the outcome of the research as they are university-based, other than someone buying Brooke Ingersoll’s book about the topic [Amazon affiliate links to other versions]. I think this is one we will also see in the future as an EBP. Finally, I included Touch Point Instruction because it is the intervention that Touch Math and Touch Money are based on; both are interventions we use frequently with students with ASD. Touch Math is considered an EBP for most schools, but there are only 2 articles with participants with ASD, so the research to this specific population did not meet the criteria for EBP. Consequently, we would use this type of instruction just as we would for any other student, evaluating its impact as we go. It is just not specifically assessed for kids with ASD. So, that brings us to the end of this series and hopefully gives you an overview of the state of the research on interventions for individuals with ASD. If you work primarily with students with ASD, I highly recommend reading through the report. My next focus is going to be on some different tricks and tips for teaching communication and then maybe behavior support…or something else that catches my fancy. You’ll have to stay tuned to find out…. 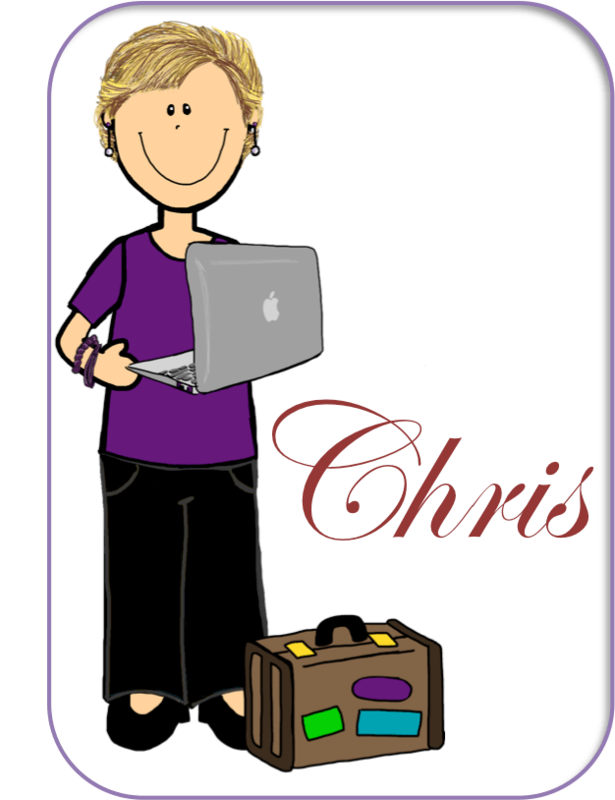 « Five Considerations in Teaching Receptive Vocabulary Plus a FREEBIE!